Story 49: Ice – Joey is getting Oliver into big trouble with an ice bear. Story 50: Mice Chase – Oliver is the tutor of a bunch of mice. Story 51: Dragon Heat – A naughty dragon is taught a lesson. 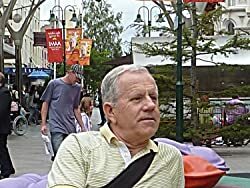 About the Author: Born in Vienna, Austria, Werner is now living in the paradise of Perth, Australia with his wife, two married children and three grandchildren. He worked many years in the printing industry and later for the United Nations in Vienna. His wife had been a pen-friend, whom Werner visited in Hong Kong and finally got married to. 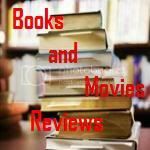 After an eventful life, now retired, he began to write children's stories, had them illustrated through Upwork, narrated them himself for YouTube and finally published the ebooks on most platforms. Werner's dream is to see "Oliver and Jumpy" animated as a TV series. My Review: This book is part of a series called Oliver and Jumpy. This particular volume has stories 49 - Ice, 50 - Mice Chase, and 51 - Dragon Heat. It is an excellent gift for parents with children under 8 as suggested by the author. The book is beautifully illustrated by Maycee Ann Reyes and that is a very important plus, as its main audience will rely on the images to follow the stories, as many will not have reached the age to start reading by themselves. In "Ice", Oliver is enjoying himself ice-skating in the lake with his friends when Joey starts skating down the brook and Oliver has to go after him to rescue him. Their adventure begins, when they try to escape from a polar bear and are rescued by a whale. In the "Mice Chase", Mausi asks Oliver to teach his 6 kids to escape any cat chasing them. At the end, he is the one who learnt a lesson. Finally in "Dragon Heat", Oliver and Jumpy go to the ghost castle using a magic door and what they find there is devastating. Everything is burnt. They find an ant that is delivering mail and tell them what happened, an incredible tale with a dragon that destroyed the whole country. With the help of a giant, they start chasing the dragon. All stories are very sweet and even touching and the characters are always showing good behavior. No violence, nothing too scary or too exciting, it will keep your toddler entertained (but not over excited) during that critical bedtime period. 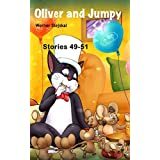 They will love the stories and soon enough Oliver and Jumpy will be in their hearts forever. In my kindle fire the story was presented in landscape orientation. No option to have it in portrait orientation, but this is far away from being a problem. I just thought it was worth mentioning. I highly recommend this book to the permanent library of any parent that is willing to entertain their kids during bedtime.